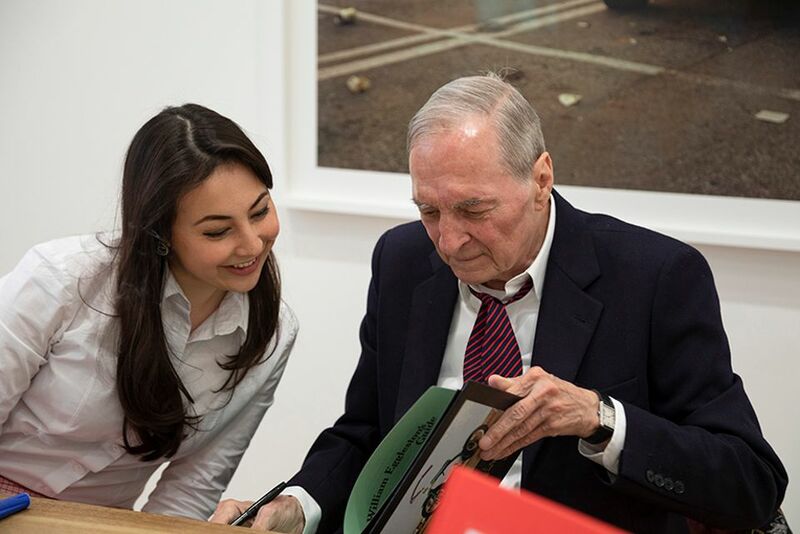 William Eggleston, a titan of photography and a quintessential southern gentleman, took London by quiet storm last Thursday. For 2 ¼, his new show at David Zwirner Gallery, Eggleston showed a series of lushly coloured, rigourously composed, square-format colour photographs from the 1970s. 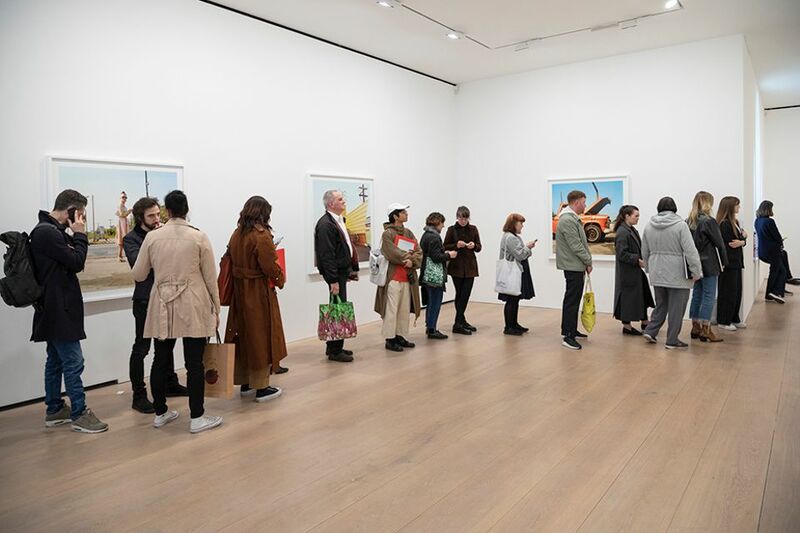 The crowd parted at the arrival of the dapper 79-year-old at the private view who was supported on his silver-topped cane and sporting his trademark untied silk bow-tie. He arrived to inspect the recently reprinted larger versions of images of the cars, parking lots, individuals and family businesses that he had taken on a 2.25-inch medium-format camera more than four decades ago. Mr Eggleston was happy to sign books, posters, memorabilia, individual cameras and copies of Musik (2017) (his album of synthesiser compositions), all of which were limited to one item per person due to the huge attendance. However, the artist was none too keen at having his own photograph taken, preferring, as he said, to be represented by his images. This is not to say that appearances aren't important to him, as he also made a visit to the offices of his friend Stella McCartney to select the fabric for his next suit before flying out of town.